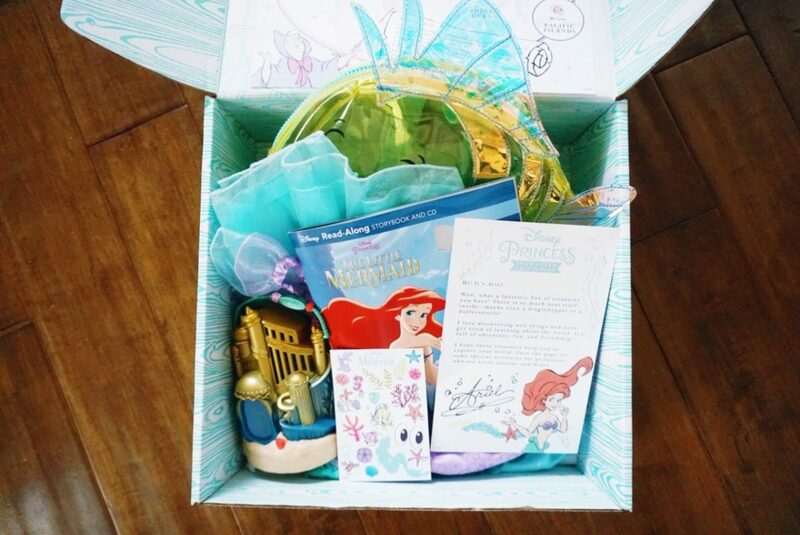 Home Disney	What’s In The Disney Princess Subscription Box? 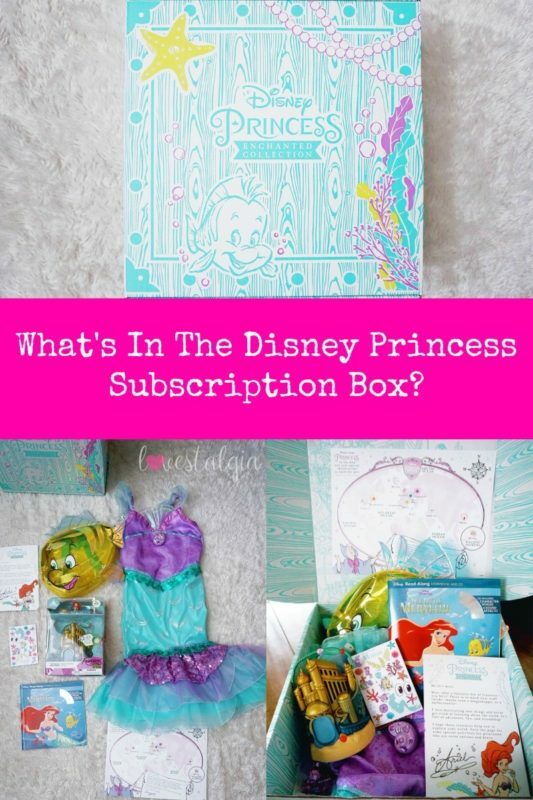 What is the Disney Princess Subscription Box? There are two types of boxes- the Disney Princess Enchanted Collection and the Deluxe Disney Princess Enchanted Collection. The Disney Princess Enchanted Collection includes the following for as low as $49.99/box. Everything is valued at over $65! A special offer for $10 off your next $50 purchase at shopDisney or Disney store. The Deluxe Disney Princess Enchanted Collection includes the following for as low as $74.99/box. Everything is valued at over $100! 2- 3 additional princess toys and accessories. 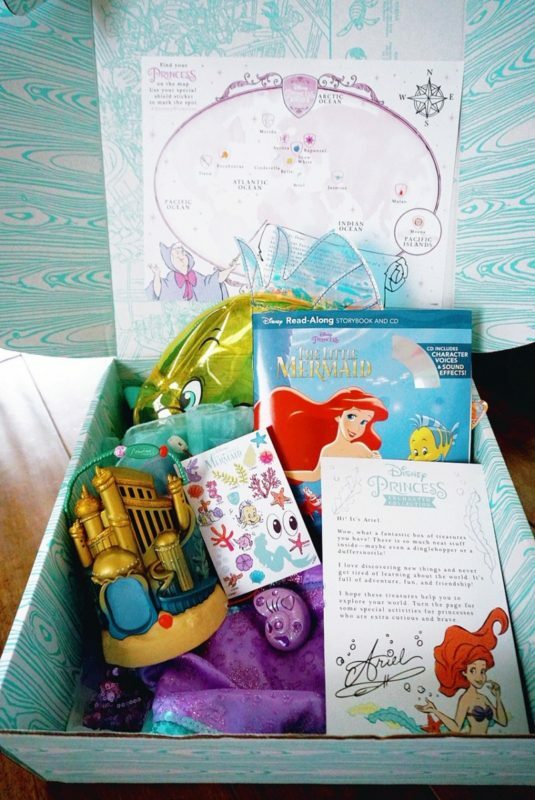 We were sent a Deluxe Disney Princess Enchanted Collection box from shopDisney. We got the Ariel themed box. 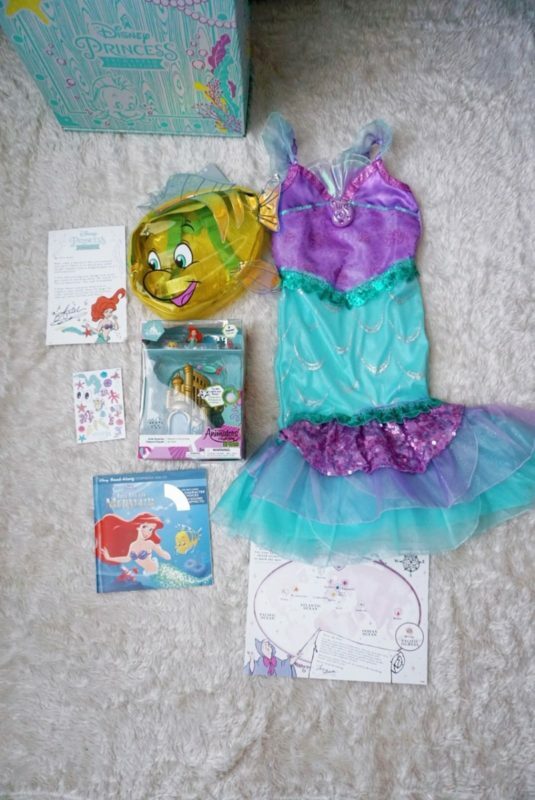 In the box was an Ariel costume, an Ariel Read-Along Story book with CD, stickers, activities, a Flounder backpack and a Disney Animator’s Little Mermaid play set. I think this is well worth the money for the princess lover in your family. 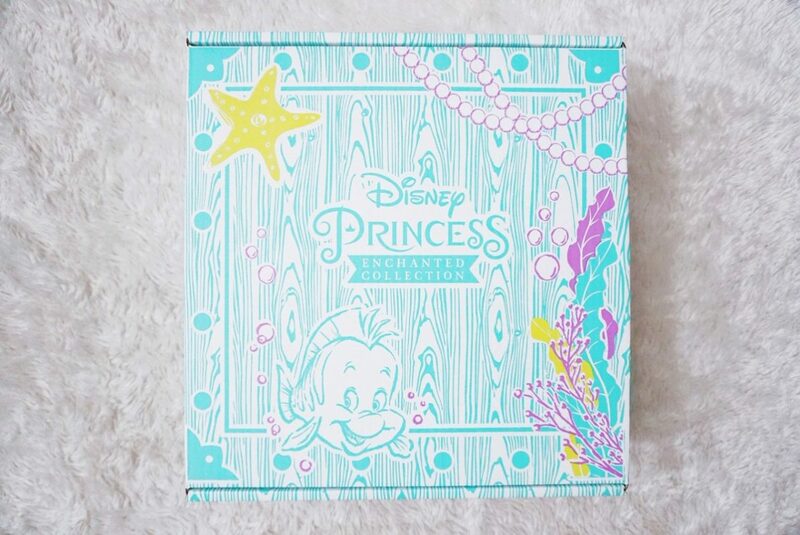 The outside of the box was themed to match the princess products inside. It’s such a great value for the price. You get a costume, book, toys and accessories. Plus the shipping and handling is all included in the price. Obviously, A was over the moon with her box. Playing with Disney Animator play sets is one of her favorite things to do. She also loved the Flounder backpack and the book. Since we are learning to read, the read-along CD book was perfect. Is this something that you would purchase for your little princess? I think it would be a great birthday present or a grandparents present to their grandkids. You know how grandparents are always spoiling their kids. I would probably buy this for A for her birthday. Everything about the subscription box was so thoughtfully curated! Be sure to check it out here. Sally, what ages does this box take in? Hi Sandi! 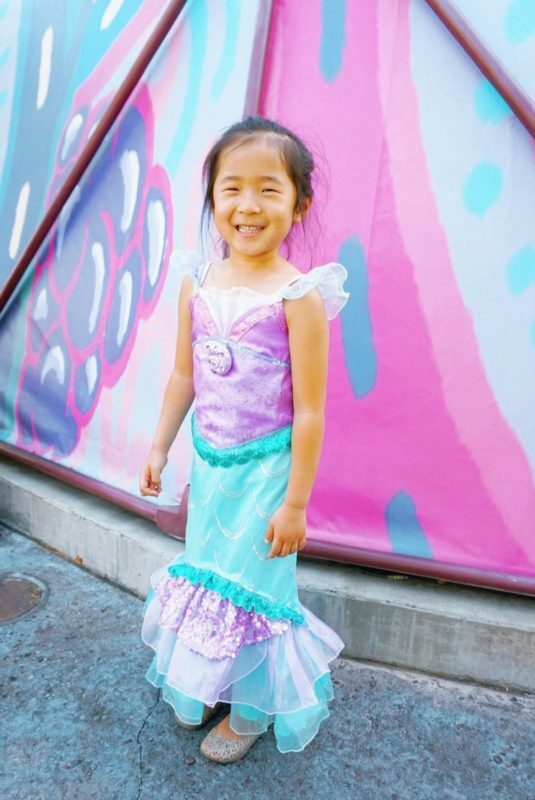 I updated the post with the ages- but it’s suggested age is 3-10 since the dress sizes are 3-10. I’ve been wondering about the subscription box! 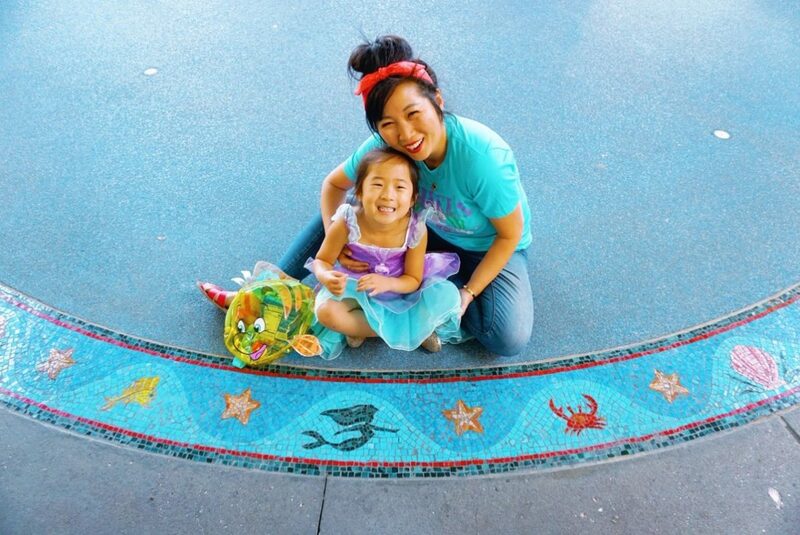 I know my daughter would have loved this one as Ariel is her favorite. It seems like it’s probably worth it. I feel like it is. If you were going to get some of these items anyway. I love how it’s all nicely packaged and themed.